Cut This work was passed uncut. 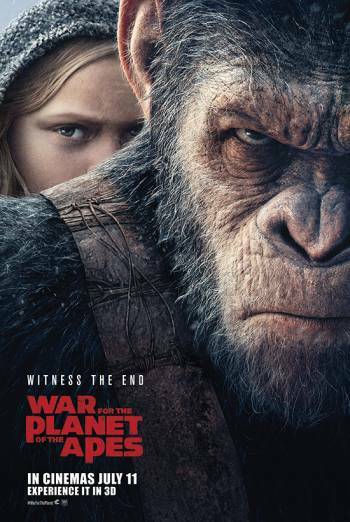 WAR FOR THE PLANET OF THE APES is an action sci-fi sequel in which the leader of an ape rebellion attempts to rescue his son from a labour camp. There are scenes of moderate violence in which evolved apes fight against humans and other apes, inflicting injuries using various weapons including guns and crossbows. In one scene, an ape is whipped, sustaining bloody lacerations on his back. An ape finds the bloody remains of his family after they have been the victims of a massacre. He later encounters the bodies of other apes that have been tortured.